It’s time, when winter is around the corner once again after a year and everyone is anxious to decide whether to wear warm dresses or summer dresses. As you know, it’s the month of November and winter is almost started. A cool breeze is blowing day and night and saying warm welcome to winter. Now people are ready to wear warm dresses of winter and want to change their wardrobe stuff. Everyone, especially ladies loves to go for shopping every time, so its the best time for them to rush toward outfits and buy fall dresses. Orient Textiles have started working since 2000 from Karachi, and become a legendary brand in Pakistan’s fashion industry in a very less span of time. Their aim was to prove something different and beyond the needs of their customers. 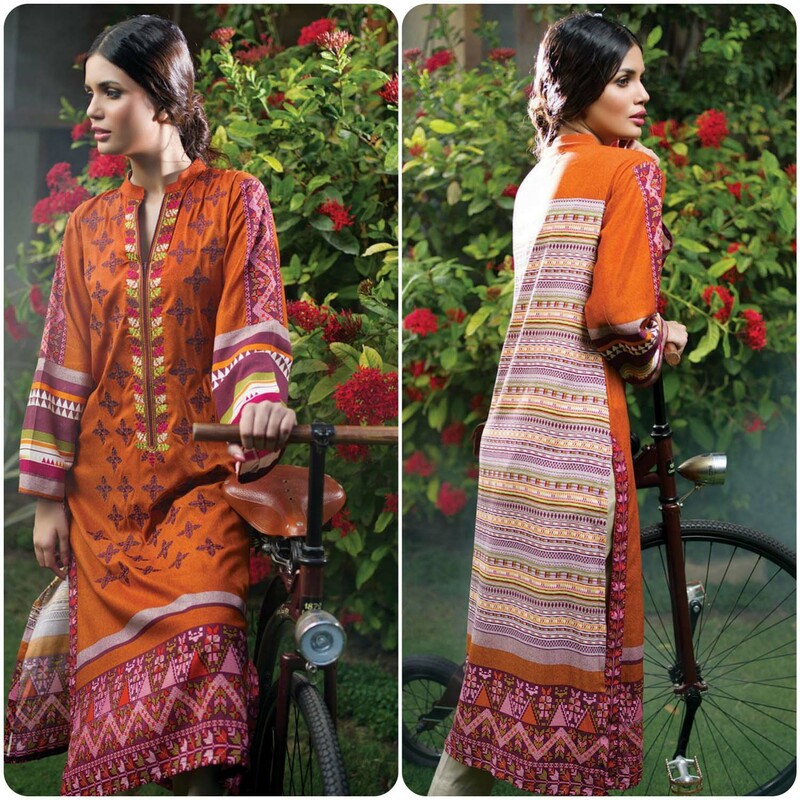 They have got much fame due to their stunning eye-catching designs, styles and patterns. 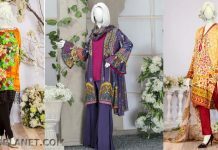 They provide very vast range of attires for every occasion.Today in my article, I am going to show you guys Orient Textiles Linen 3 piece and Plain 3 Piece Collection 2015-2016.Colors in this assortment are maroon, green, blue, sky blue, peach, dark purple and off-white with beautiful floral patterns. So Now ladies, we will discuss designs which are used in this new assortment. 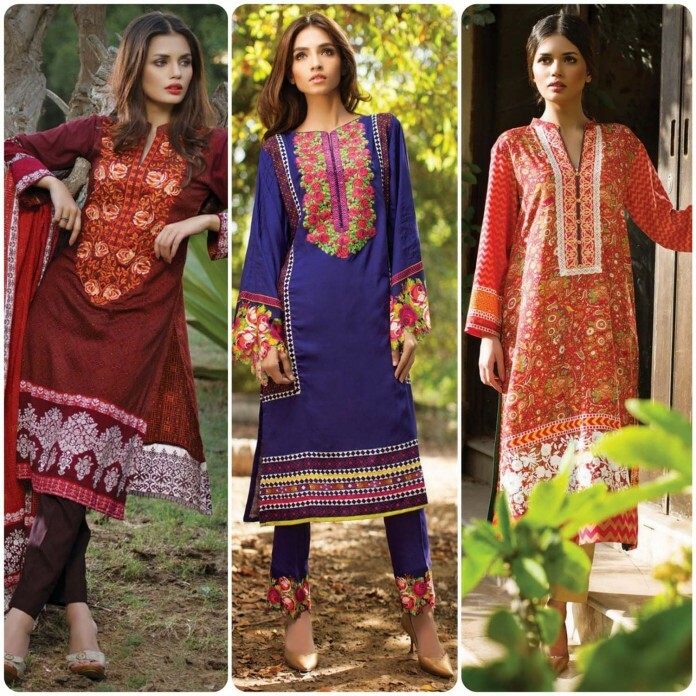 The designs in winter collection 2015 are made up with striking colors and very different patterns like floral, dots, zig-zig, botanic and many more. Many dresses are made with different back and front print just to add versatility in attires. 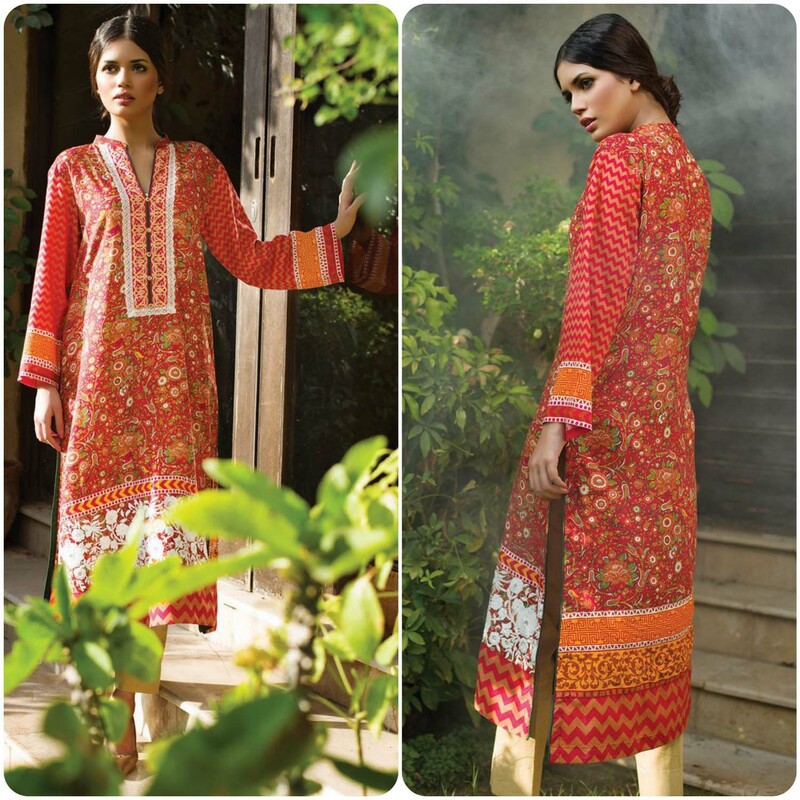 In this 2 piece and kurties collection many shirts are designed with delicate embroidery which makes you look rich. Many are neckline embroidered. 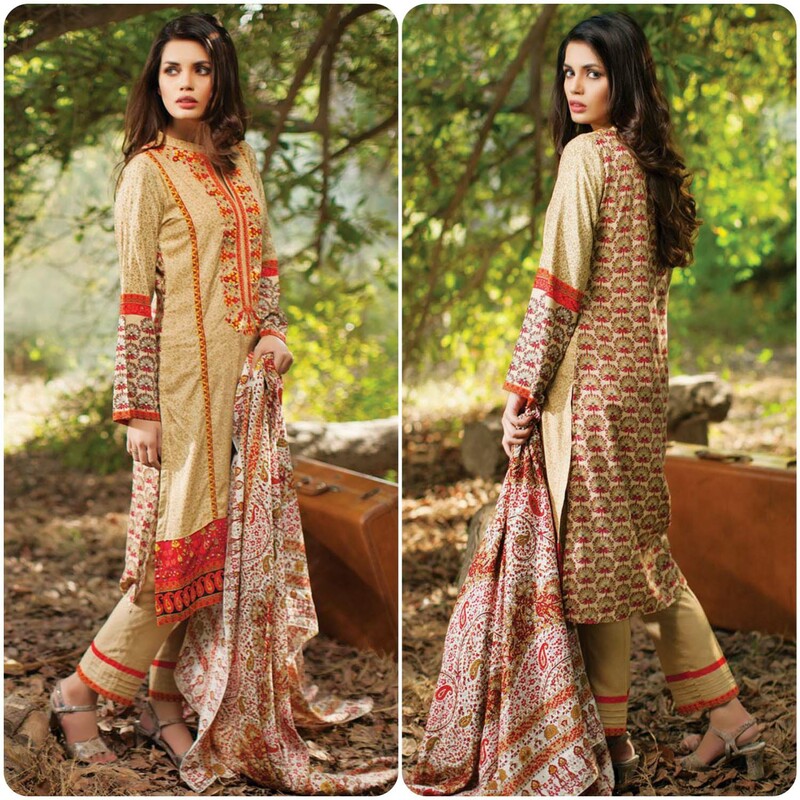 This linen 2 Piece collection is available in stores now Price range of 2 piece suits are from RS PKR, RS 2235 to PKR, RS 2385. 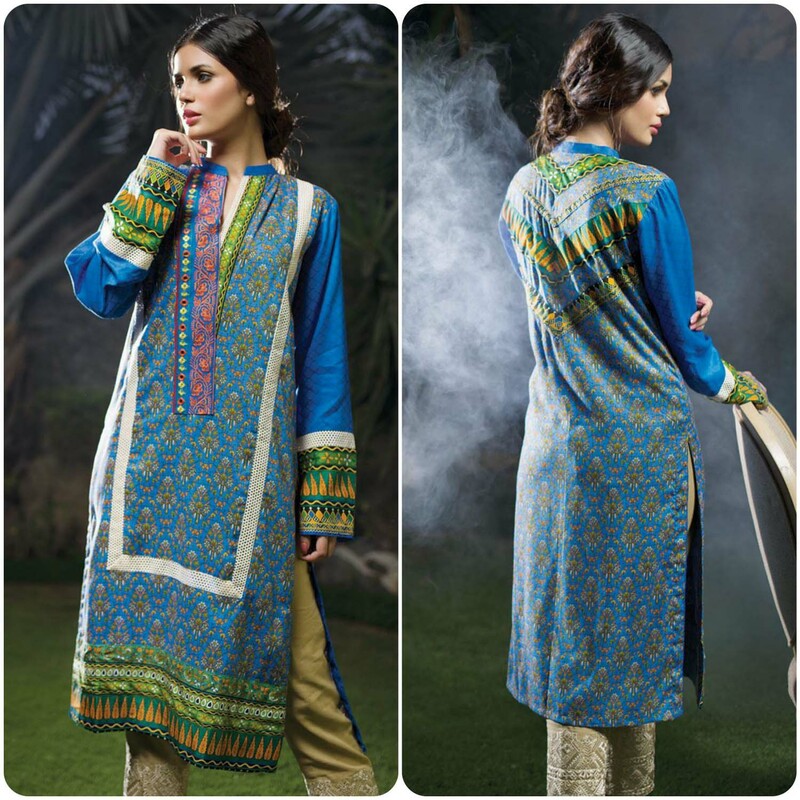 The price of embroidered kurties is PKR, RS 1340 to PKR, RS 1540. 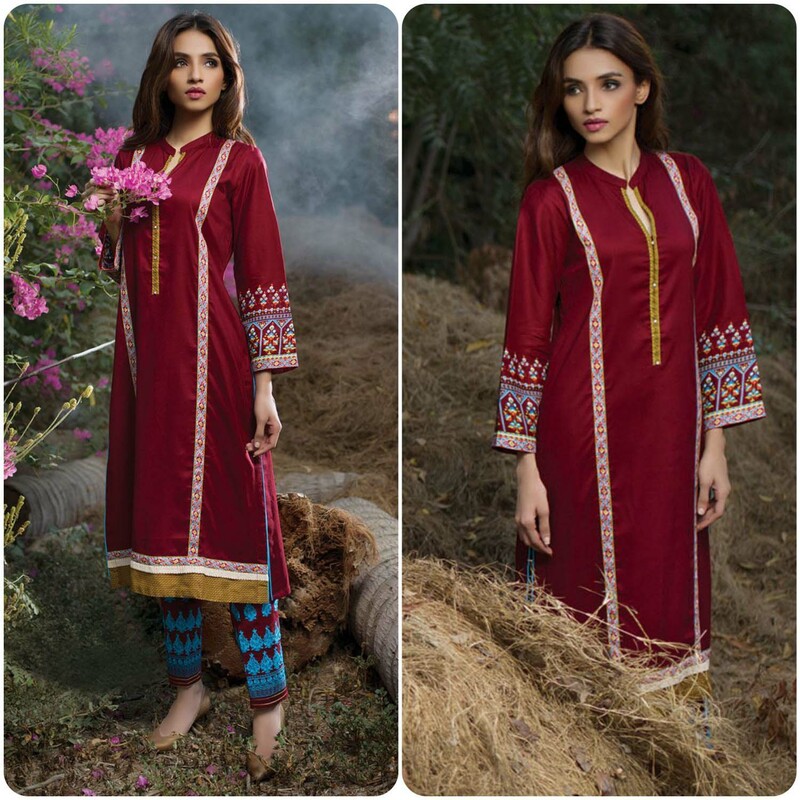 Below are some prints of Orients Textiles Stylish 2 Piece and Embroidered Kurties Collection 2015-2016. You are most welcome to choose the best one for you guys form are portal.